FINANCIAL REGULATORS CONSULTED gardaí on the tracker mortgage issue, but no reports have yet been made. The tracker mortgage issue centres around thousands of people who paid higher mortgage rates than they should have. The remarks were made by Central Bank officials to the Finance Committee today. The Central Bank’s head of enforcement Derville Rowland said that she met with gardaí to discuss the tracker mortgage issue ‘in general’ terms. Rowland says they considered “taking action against senior members” and bringing sanctions forward, which is within the remit of the Central Bank. “In this context no reports have been made to date.” She said she met with gardaí and discussed the issue in general terms, and the Central Bank continues to regularly engage with the gardaí on the matter. There are open investigations at the moment involving Permanent TSB and Ulster Bank. There’s also one concluded case with Permanent TSB’s Springboard – where the lender was fined €4.5 million as well as repayment fees. In that particular case, Rowland said, “we demanded that the consumer interest was put as a first priority”. The Central Bank said today it is reviewing the exact value of what thousands of customers lost out on over the years when they should have been on a better rate. The assessment is expected to be concluded by the end of September this year, they said, but there’s no exact figure on rebates for customers, or if there will be fines involved. Earlier today, TheJournal.ie reported that a widowed father-of-five from Co Kerry who was overcharged by Bank of Ireland on his mortgage payments is now in a battle to stop the bank from taking his family home. In the Finance Committee today, Central Bank governor Philip Lane said that there was a “systematic and widespread aspect” to the tracker mortgage scandal. “It manifested itself in different ways, in different institutions over different periods of time, to different customers. It does require comprehensive approach; there was a cultural issue that was in favour of the lender and not in favour of the customers. He also said that lenders should “never have been as aggressive as they were in terms of how they viewed these contracts”. With reporting from Michelle Hennessy. Email “Gardaí consulted on tracker-mortgage scandal - no reports made yet”. 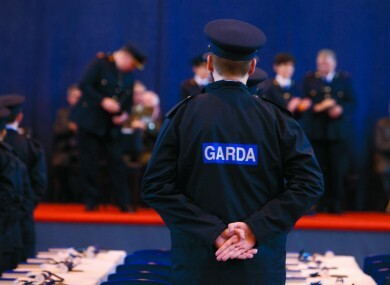 Feedback on “Gardaí consulted on tracker-mortgage scandal - no reports made yet”.